Should You Use Cosmetic HRT™ Face Cream? "Loss of Oestrogen Is Now Your Biggest Cause Of Skin Ageing"
Without the influence of oestrogen your skin goes into decline! As your hormones decline, wrinkles will get deeper every day and plump, firm skin becomes a thing of the past, no matter how much of your regular moisturiser is applied. Cosmetic HRT™ 100% natural and 100% safe. Now you can recapture the very essence of your glowing, radiant complexion with a daily application of our award winning, youth enhancing moisturiser. 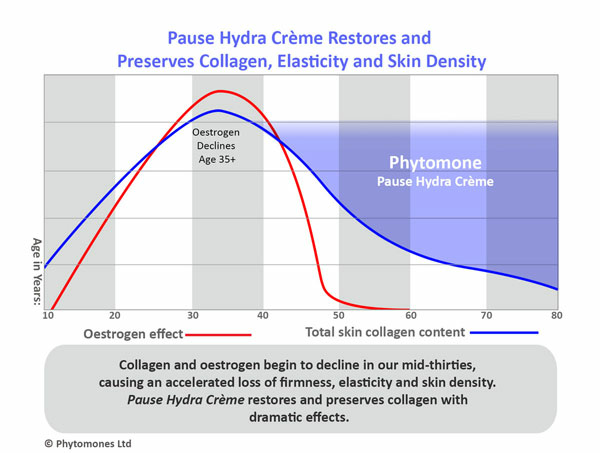 Phytomone Cosmetic HRT™️ Targets skin ageing at the root cause, loss of oestrogen. So sorry looks like you just missed this offer. We know how disappointed you may be. To ensure you never miss another one simply sign up for our VIP Club today. The influence of oestrogen begins to decline from your mid-thirties onward. Without this vital hormone your body struggles to make collagen, resulting in loss of skin firmness and elasticity. Lines and wrinkles become more noticeable, dryness more apparent and the complexion looking dull and sallow. 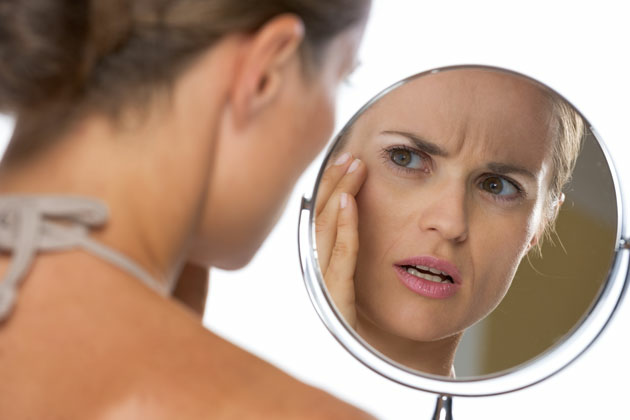 Hormonal skin ageing will eventually affect all women, of all skin types and all ethnicities, there is no escape! Our advanced Phytomone Cosmetic HRT™️ uses a powerful compound called Genistein, derived from the soya bean. It has a molecular structure similar to human oestrogen and has the ability to bind to facial oestrogen receptors which then activate collagen synthesis and increase skin density. Phytoestrogens will only work successfully if they are able to reach Oestrogen Receptors. 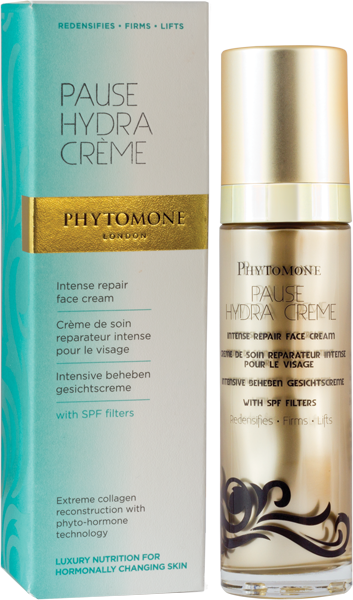 Pause Hydra Creme with our breakthrough plant based Phytomone Cosmetic HRT™️ is the only scientifically proven formula able to do exactly this. "The main cause of ageing during menopause is lack of oestrogen. 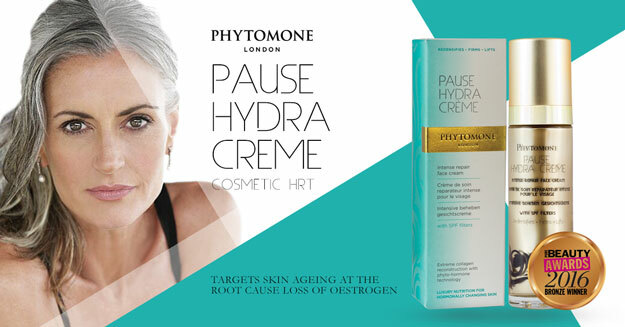 The phyto-hormones used in Pause Hydra Creme stimulate the proliferation of collagen by binding to oestrogen receptors. 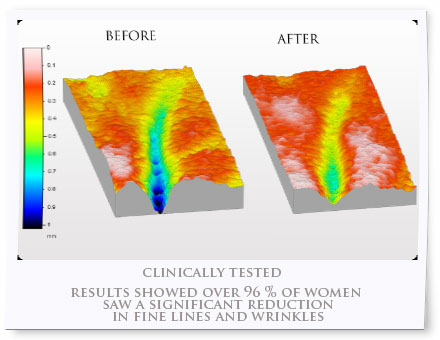 Resulting in firmer, plumper looking skin and significantly reducing the appearance of fine lines and wrinkles". 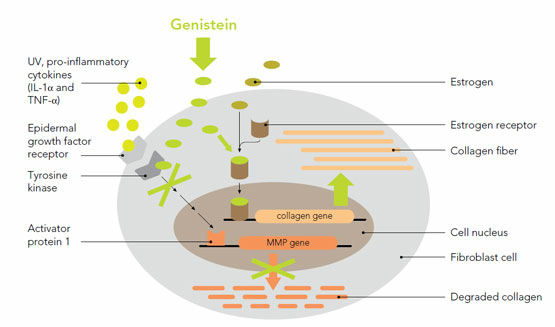 Genistein, a powerful collagen booster, working as a phyto-oestrogen is one on the special actives used in Pause Hydra Creme. It offers superior results in increased skin density and collagen proliferation. Leaving skin firmer and looking 5 years younger. 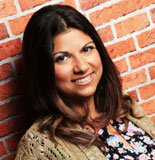 This is particularly important to women transiting through menopause due to declining oestrogen levels at this time, where this hormone in needed to make collagen." Most companies do NOT carry out Clinical Trials on their products due to the lengthy procedure and high costs involved. This means you have no proof if the claims they are making are actually true! Our in-depth clinical trials provide scientific evidence, so we can give you our promise that Pause Hydra Crème will give you the best possible results. In independent clinical studies carried out on Pause Hydra Creme over 96% of women saw a significant difference in the appearance of fine lines and wrinkles. 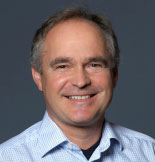 Clinical studies conducted by DC Concept laboratoirs Dr. Hans-Peter Nissen Dr med H Prieur.